Bali Spirit Festival will take place at the Agung Rai Museum of Art (ARMA) Ubud, Bali, this event will take place on March 31 to April 5. Bali Spirit Festival is an International event that includes spiritual activities. A main goal of this event is to bring together a global community through yoga, dance, healing movement and rhythm of international music. The festival is held every year, followed by the participants more than 50 countries. Bali Spirit Festival is the eighth this year, has developed a music festival and yoga into an international event that is energized. Workshop yoga, meditation, dance and healing will be led by more than 50 instructors from all over the world. Among them are from the United States, India, United Kingdom, Australia, Venezuela, France, South Korea and Jamaica. Location workshop consists of 5 areas and 3 bungalows surrounded by green grass, hills and sounds of gurgling water from a nearby river. After doing yoga, participants will be invited to a party at the open stage to the accompaniment of music. Ubud Bali was chosen because it is considered as a location full of art and very calming, so the yoga lovers will find a different experience. Apart from being a place filled with art and soothing, Ubud is also recognized as the best place in the world of spiritual transit. The existence of yoga in Bali has been highly developed over the last 10 years. It proved to easily find yoga classes in Ubud. The existence of yoga in Bali last 10 years is already highly developed. Finding a place that provides yoga class is not difficult, especially in certain areas such as Ubud. Many places that offer yoga classes that are not tied so we can take one session. 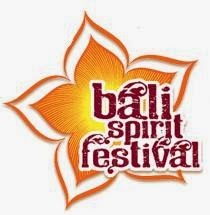 Bali Spirit Festival itself has entered the Top Yoga Festivals Around The Globe Yahoonews version . This event offers rejuvenation and inspiration for everyone who wants to enjoy the festival atmosphere of the tropics. BaliSpirit Festival also invited some of the world's instructors offer a variety of workshops in yoga , meditation , music and dance , as well as seminars in healing and health.